Jones Family Farms is run by Jim Jones and his wife, Barbara. The couple started the enterprise in 1980 and now includes their daughter and son, Jessica and Jimmy. 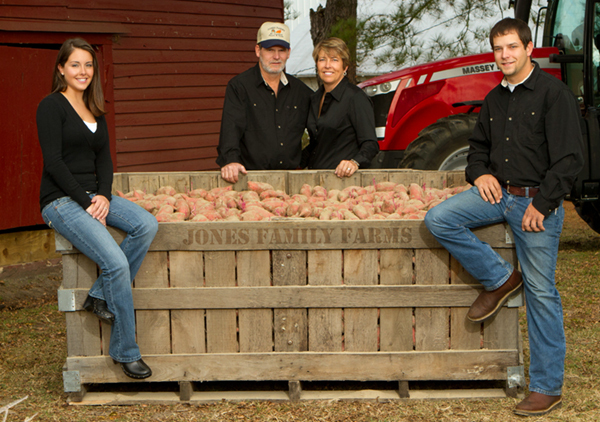 The Jones children came back to the farm after having off-the-farm jobs and now play strategic roles in the operation. Jim started farming as a teenager with his grandfather in 1974, growing sweet potatoes in the fifth middles of tobacco fields. The next year, he had an acre of sweet potatoes and kept increasing his acreage over the years. In the early ‘80's, Jim grew 30 to 40 acres and stayed under 100 acres untill the ‘90s. Today, Jones Farms is a certified seed and plant wholesaler, selling to producers all over the U.S. and Canada. 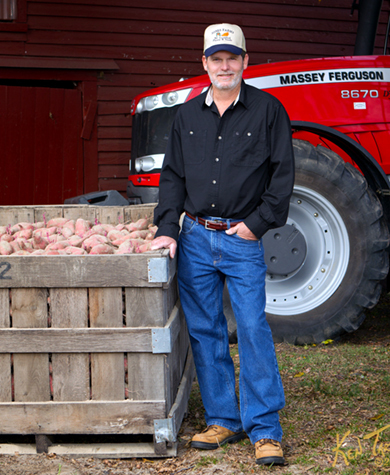 Today his sweet potatoes are produced on more than 900 acres. 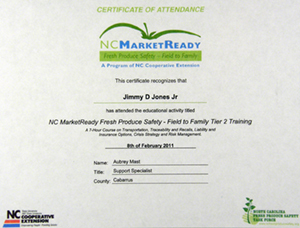 In 2000, Jones Family Farms became the first blackberry nursery to be certified by the NC Crop Improvement Assn. 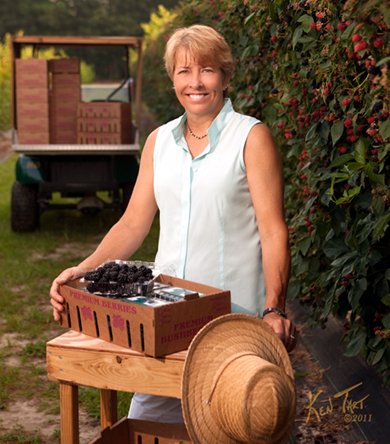 Barbara, who oversees the blackberry business, buys all of the blackberry mother plants from the NC State Micropropagation Unit and Repository (MPUR). 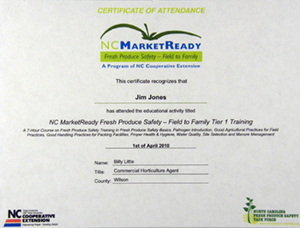 Committed to maintaining high safety standards, Jones Family Farms has completed two years of training in GAP certification.